Happy Friday everyone. 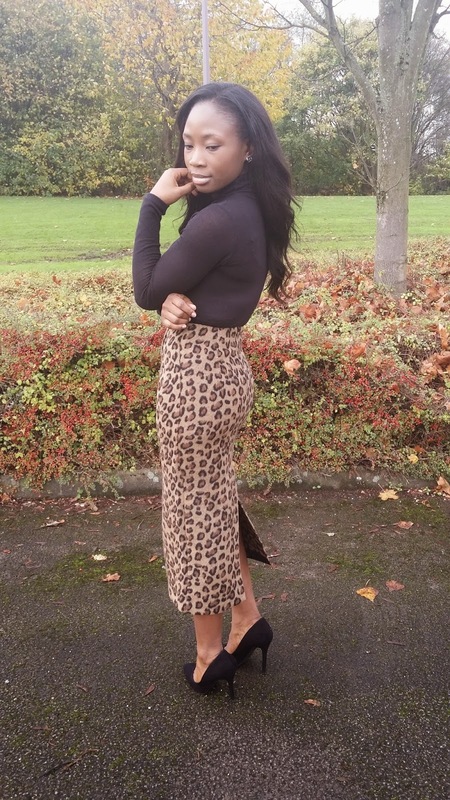 Who doesn't love a good leopard skirt? heh... and I love them even better as a pencil skirt. 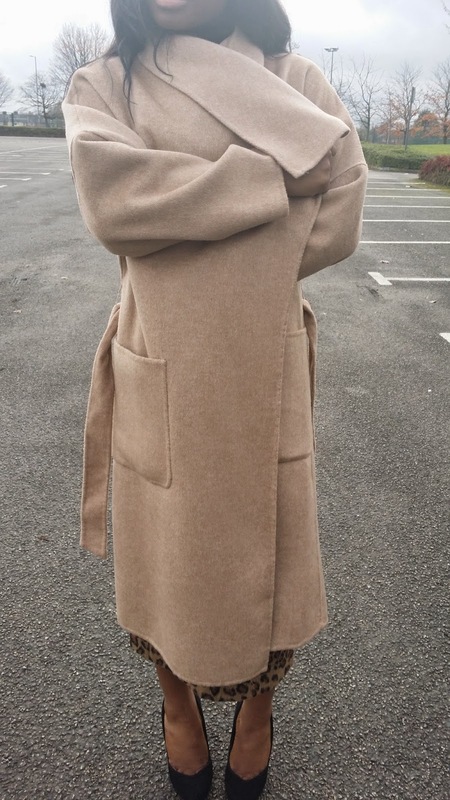 Its also perfect for the Autumn/winter season. 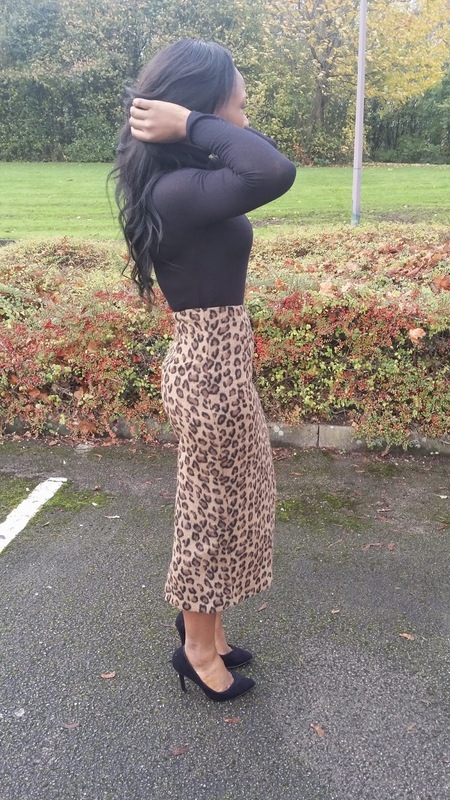 I wore this leopard skirt to church couple of weeks ago and paired it with a black turtle neck top to accommodate the cold weather and my favorite kurt Geiger black pump. 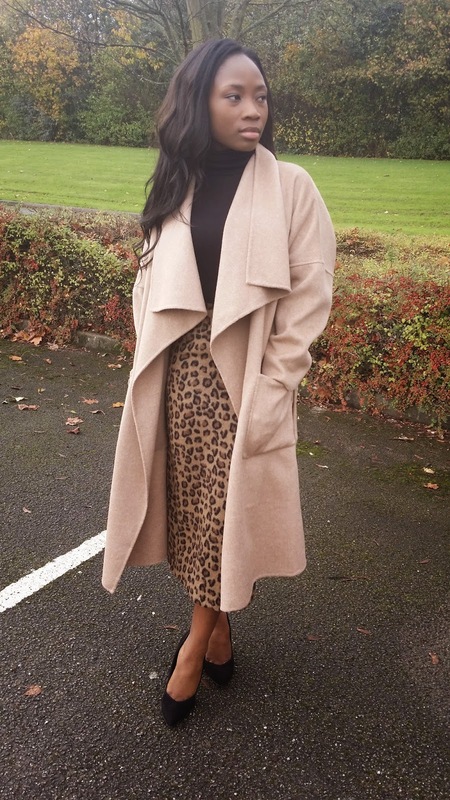 To complete the look, I added a camel coat which compliments the whole look. Thanks again for stopping by, have a great weekend.